Bootstrap form speed up building a website or web app. 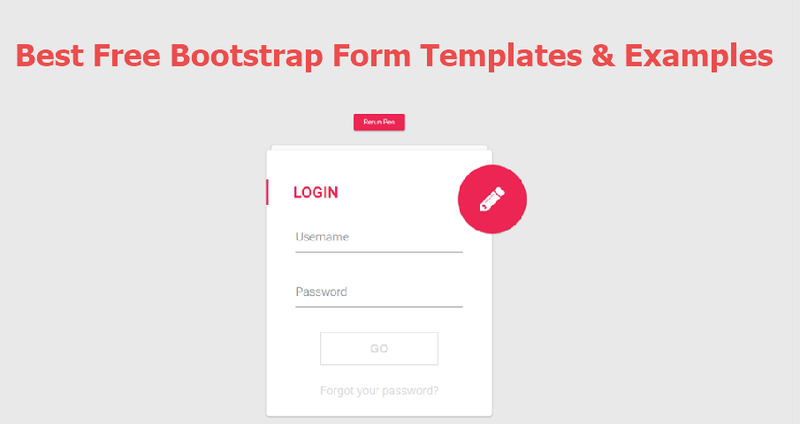 Top 50 bootstrap form templates for free download & form examples for inspiration. Bootstrap has gained in popularity and is one of the most practical front-end web frameworks. 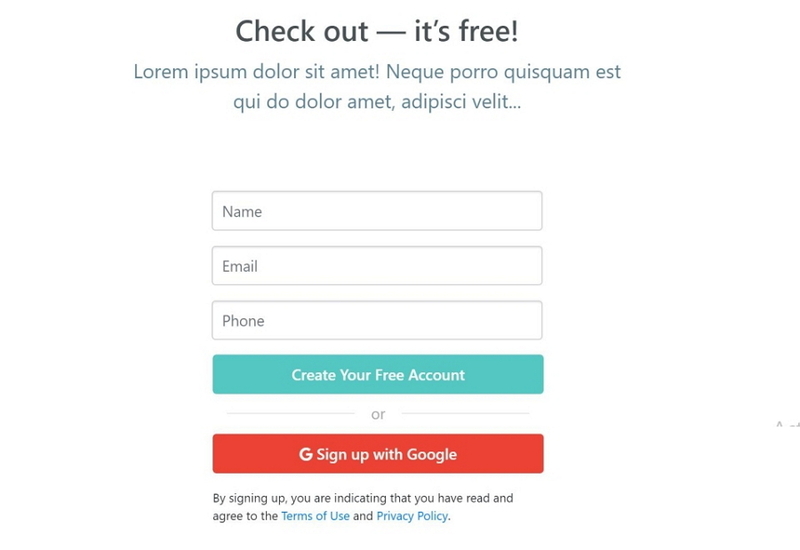 Developers and designers are sharing free bootstrap forms to help each other save time when building a website or web app. However, these resources are everywhere! 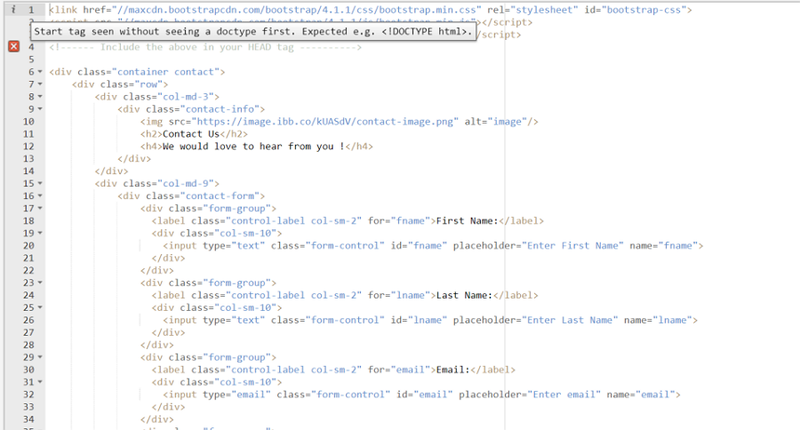 To save you some time, I have put them together for you - here are the best Bootstrap form templates and free resources. In this part, I’ve rounded up 10 of the best Bootstrap form design examples for your inspiration. I will describe each of the templates and examples to help you know them better with information like the form layouts (vertical form, horizontal form or inline form) and the category of each one. In addition, I will review their usage patterns and special design features. Bootstrap 4 has its default style that can apply to most form controls, making it very useful. Each of these Bootstrap 4 form templates are login forms and each of them has two input fields, one checkbox, and a submit button. 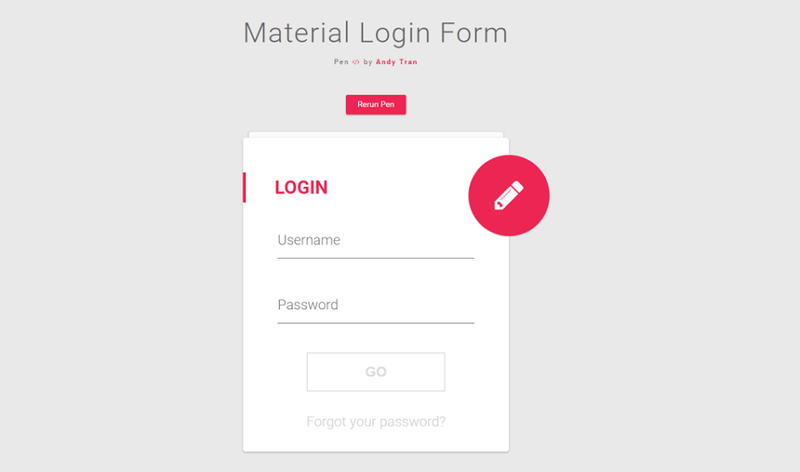 This is a very basic vertical form template for almost any kind of website login page. It’s easy to modify and can be used for more than log-in forms, such as contact forms and password-change forms, etc. An inline form has unique features. True to its name, all of its elements are inline, left-aligned, and the labels positioned alongside. One thing you should pay attention to is that inline forms should only be used with forms within viewports that are at least 768px wide. This one has a tiny but important difference from the inline form discussed above. Thanks to this difference, which contains a right margin (.mr-sm-2) to each input and a margin-bottom class (.mb-2), the form takes up more screen space. 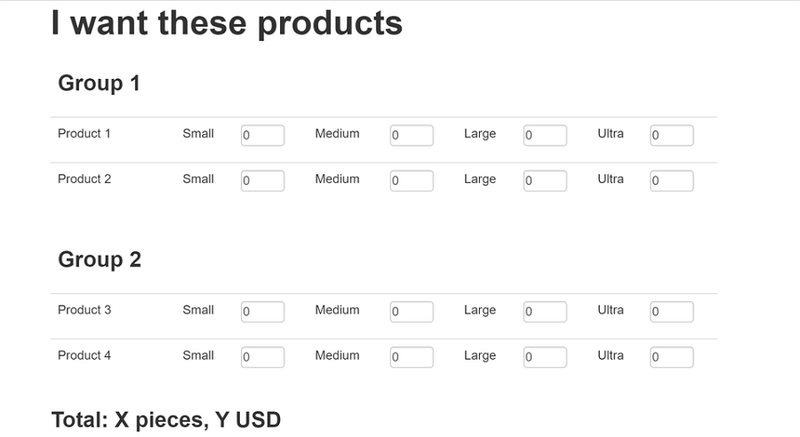 A horizontal form means that the labels are aligned next to the input field (horizontal) on large and medium screens. On small screens (767px and below), it will transform to a vertical form (labels are placed on top of each input). 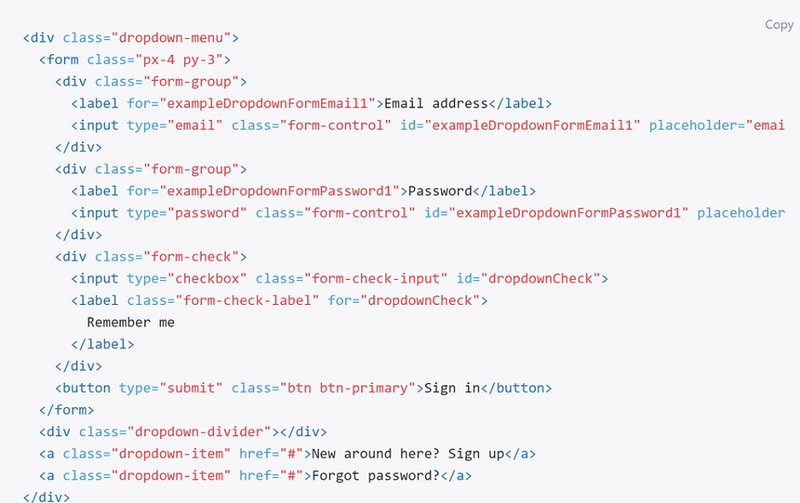 You can use Bootstrap's predefined grid classes to align labels and groups of form controls in a horizontal layout. You can put a form within a dropdown menu, or make it into a dropdown menu, and use margin or padding utilities to give it the negative space you need. 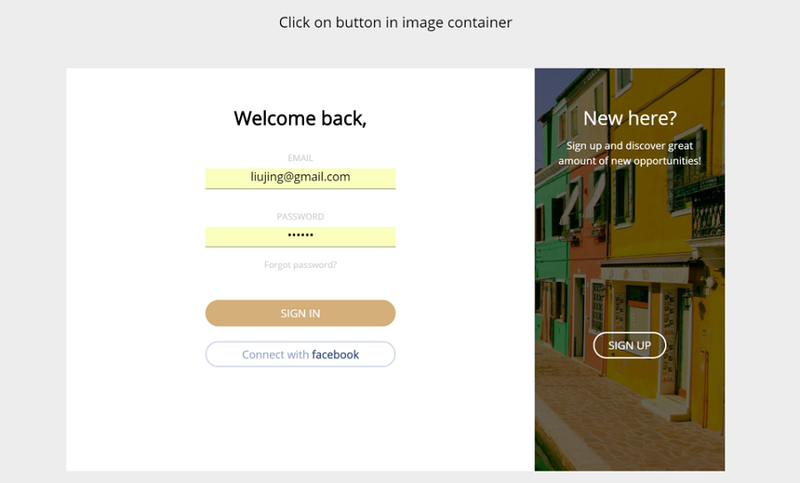 This is a basic Bootstrap form that is suitable for log in, sign up and reset password pages. It has a cute interactive round icon that serves as the submit button. 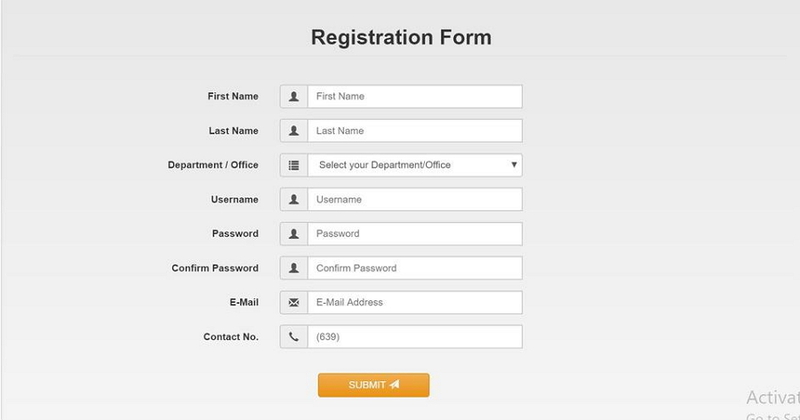 This is a long horizontal registration form with several input fields. There is a drop-down menu on the third line "Department/Office". In addition, the designer has added a small icon on each line to clarify the required input. 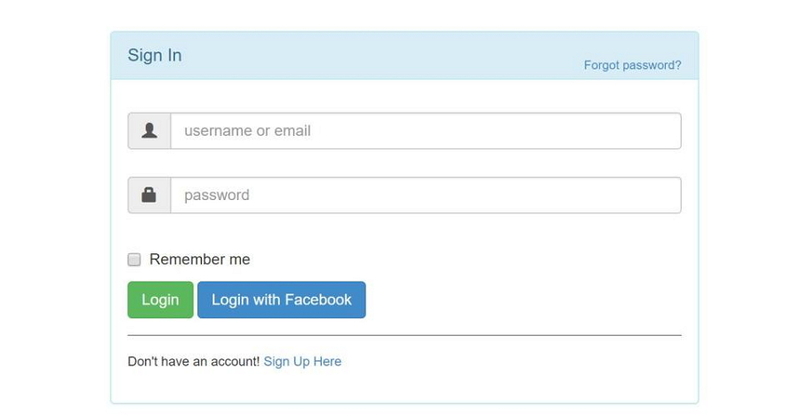 This form contains 2 input fields, a checkbox, two login button, a password refound CTA on the right top corner and a signup CTA on the bottom. All these make it a functional signin form. This form is Google-friendly. 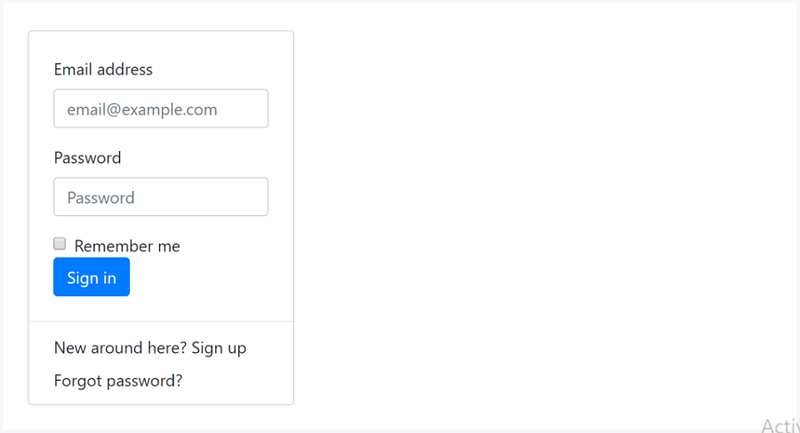 You can sign up quicky with your Google account. 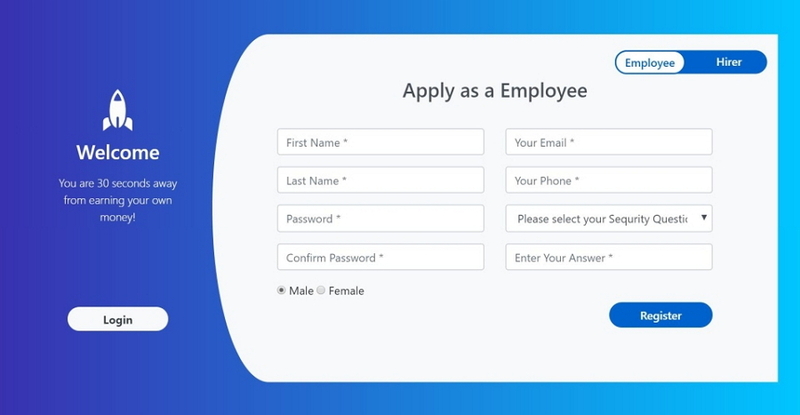 Select Employee or Hirer to reach different forms. 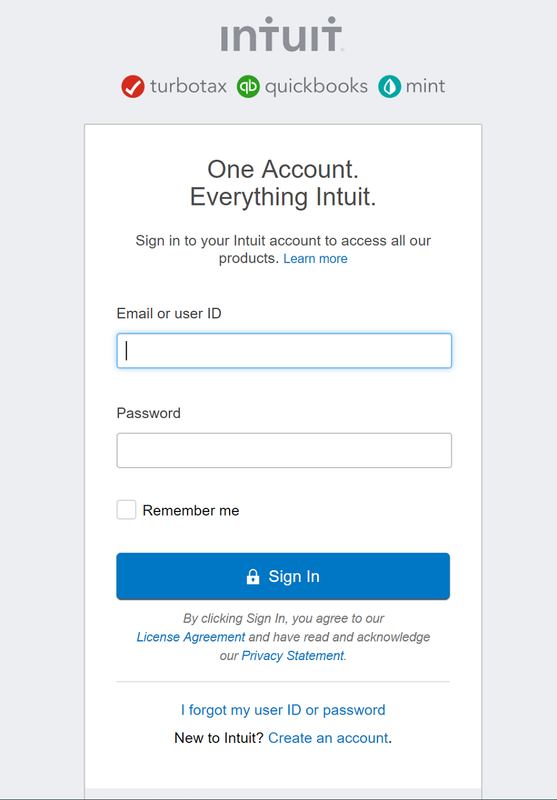 The signup form and the login form are displayed on the same screen. The asymmetrical layout design creates a balance between the two forms. 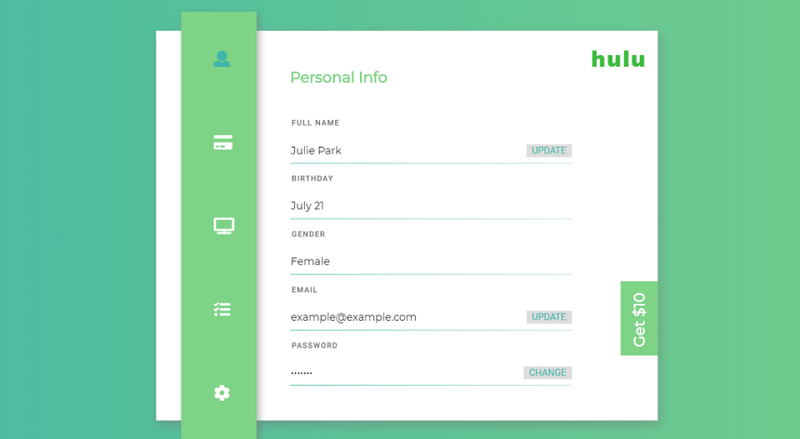 This form is also a great website layout design example. Material design has been a widely-adopted principle in web design. Andy used it here in this form and, as you see, it is really great with lovely interactive features. Hover your mouse on the input field or submit button and they will turn the red. The red icon with a pen is actually a switch button to change to the registration form. 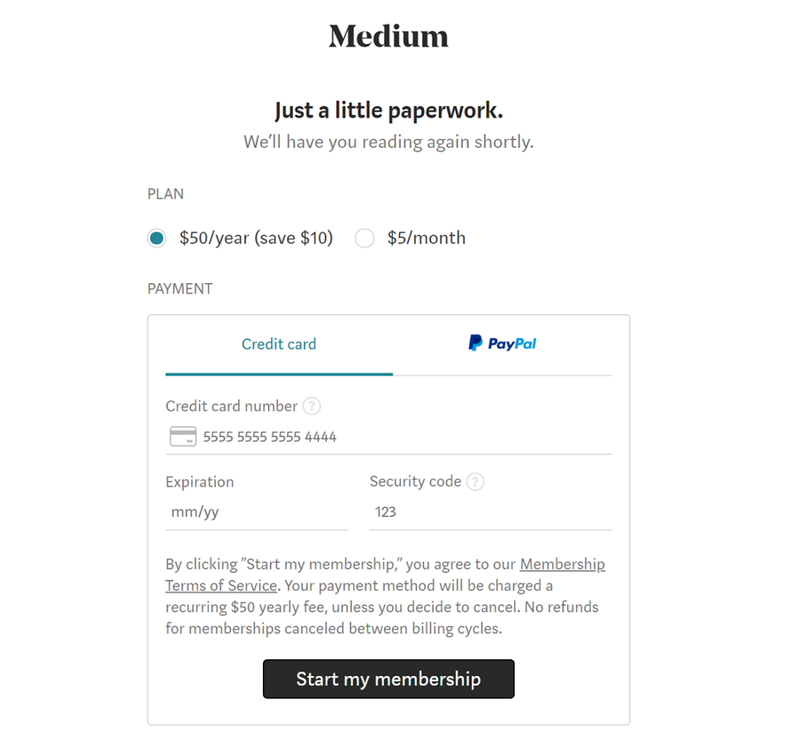 This signup form has 3 layers to lead you through a registration process. 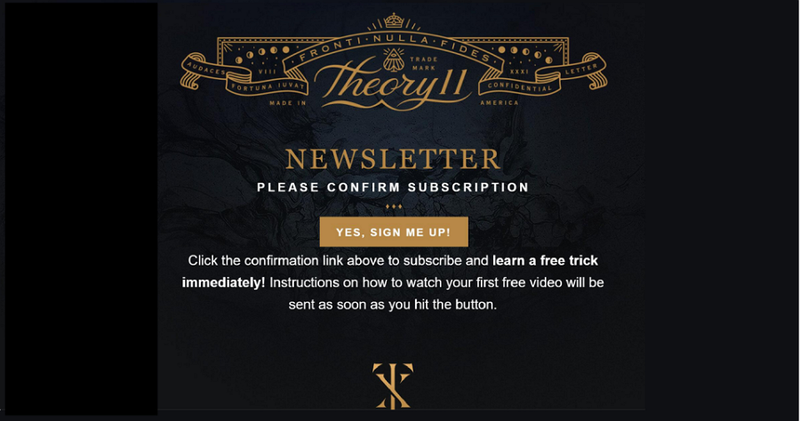 This is a typical subscription cart form for products purchasing. 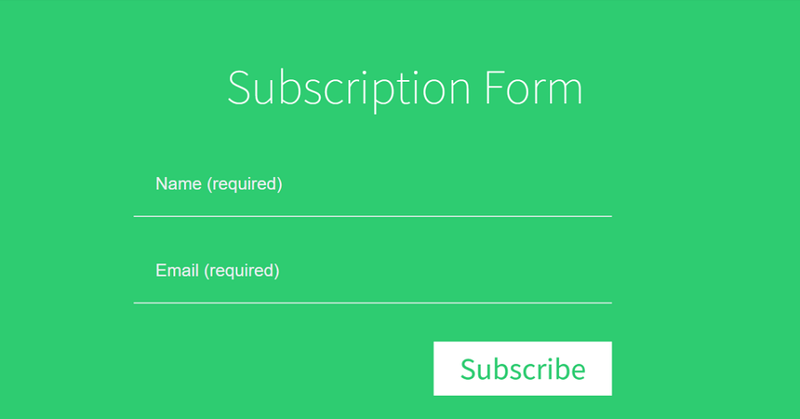 A basic subscription form with two input fields and a submit button. This is a simplest but interesting form. It does require an email address. 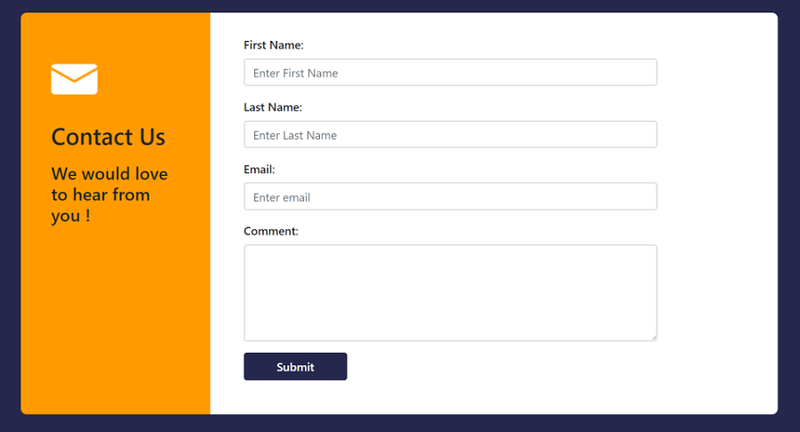 This form has a nice header which makes your page stand out. In addition, you can use this as a landing page template. 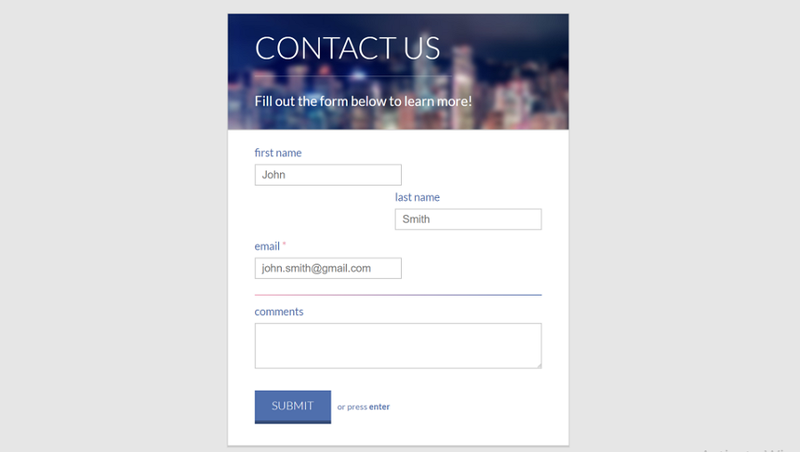 This contact form based on Bootstrap can be used on any website. It has a special text input field to allow for open-ended comment. This form uses yellow and white to create a nice contrast. It looks more appealing than all-white contact forms. It uses gradient blue colour as the background, which is a perfect compliment to an all-white contact form. It uses placeholders to inform you what you should input. It has a custom styled button with a nice icon. In addition, the rounded form spaces make it display perfectly on any web or mobile screen. The typography on the header is very powerful. 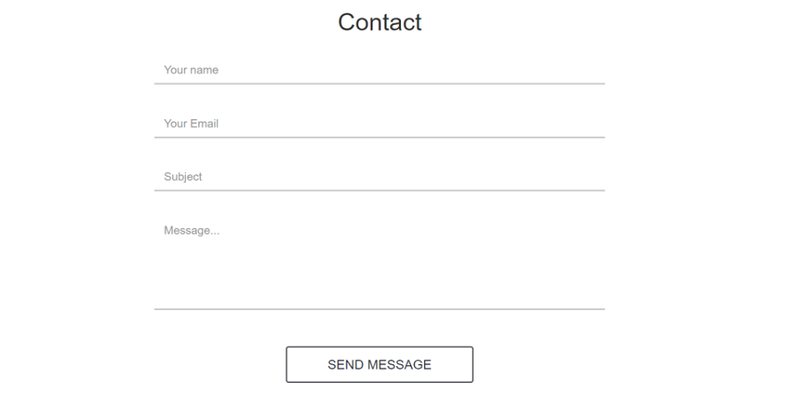 This is an all-white contact form with a custom styled button with a solid green color. Bootstrap form validation is used in this form. 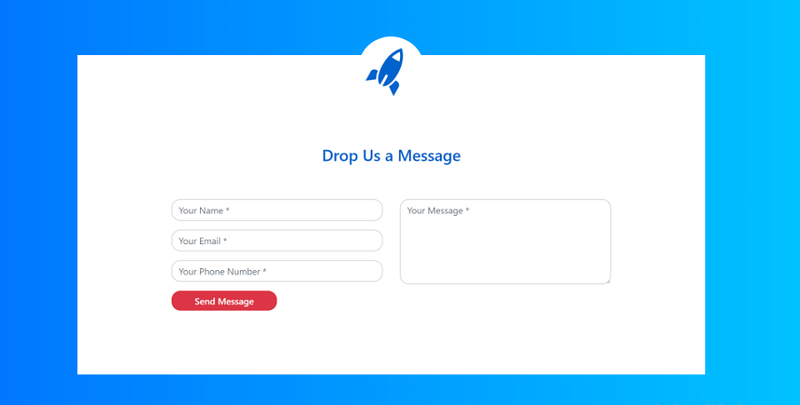 This is a powerful contact form with multiple items, including input fields, checkboxes, radio buttons and a submit button. The image and text encourages visitors to get in touch with you. If you need more resources, there are 12 Best Free Html5 Contact Form & Contact Us Page Templates you shouldn't miss. Mockplus is a rapid prototyping tool in China. The contact page is quite simple but useful with 3 input fields and a large textbox. Casangelina is one of the top ten cliff hotels in the world. 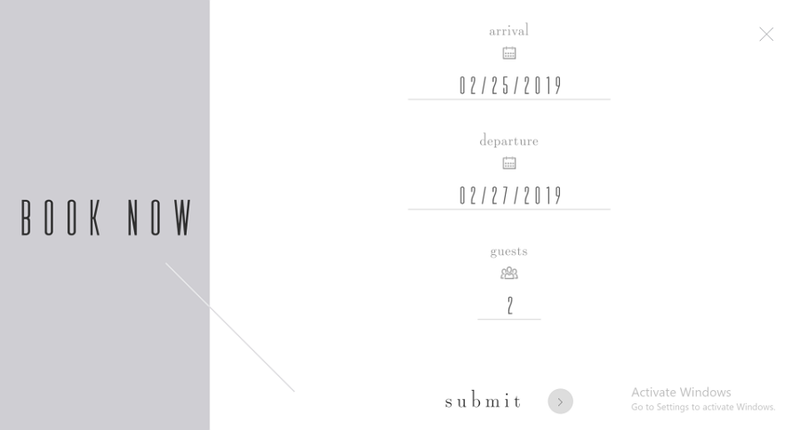 The booking form is elegant with nice animation. The entire page is aesthetically pleasing. You just need to provide your email address. This form uses an asymmetrical layout and it creates a contrast to strengthen the balance. This form is conveniently connected to your Amazon account. I like its login form a great deal. It has a cute hand waving at you, saying hello to you. The interactive design really invokes feelings. 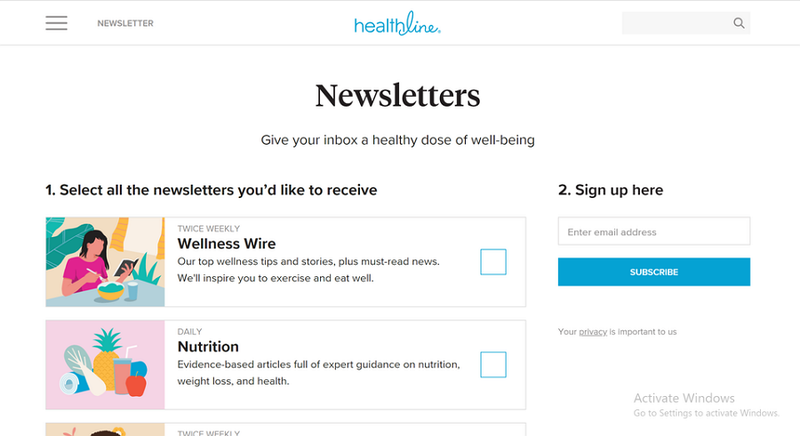 You are free to choose what content you would like to subscribe to with checkbox settings. With a nice big picture as the background, this booking form is aesthetically appealing. One account with, everything in it. This form is really useful. 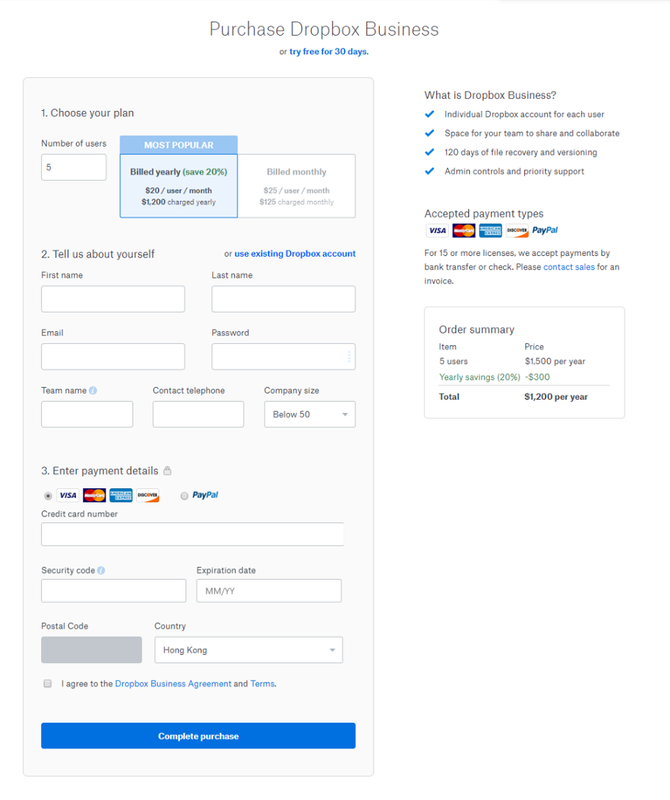 A powerful purchasing form worthy of consideration. 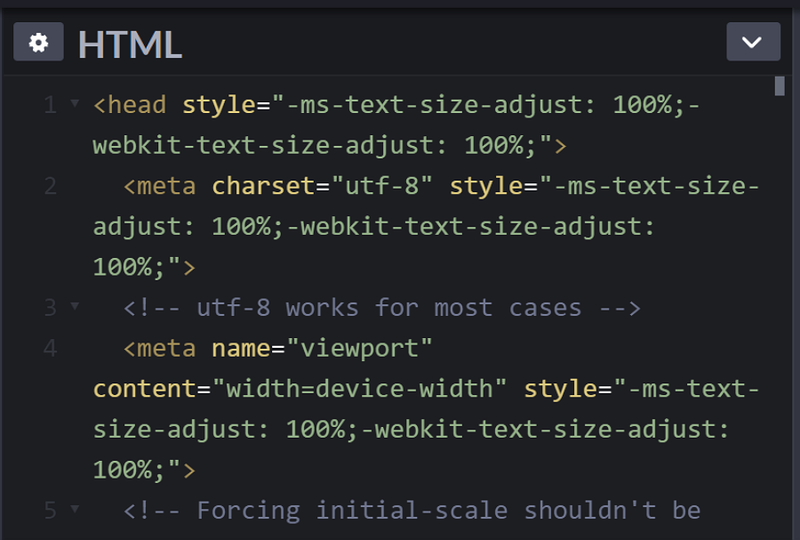 This is a relatively long form, so you will learn Long Web Form Design Practices and Principles here too. This is a detailed paycheck form. 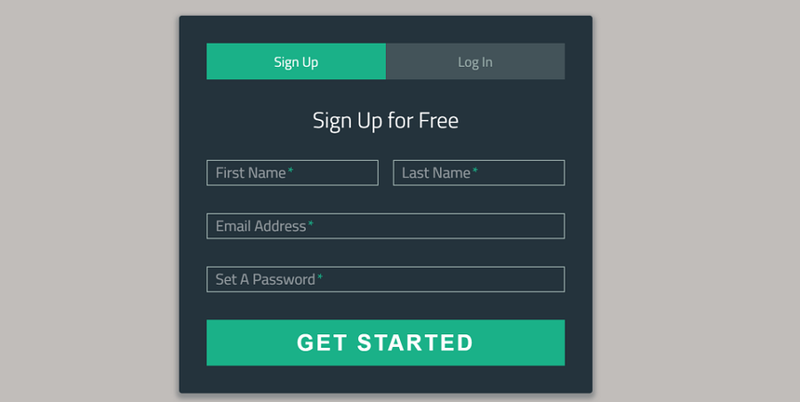 Above are the 50 best free Bootstrap form templates and examples. If you find something you like, apply it to your next project!